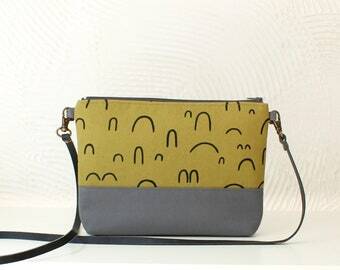 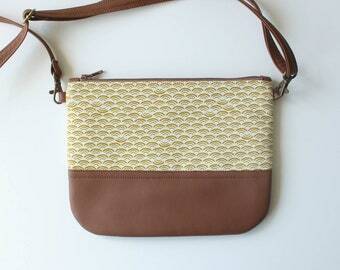 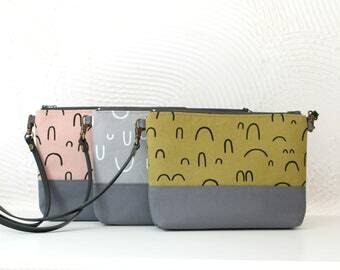 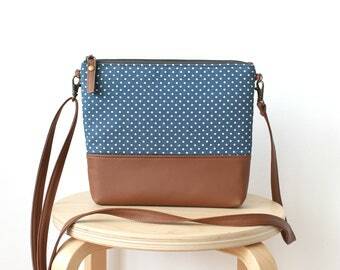 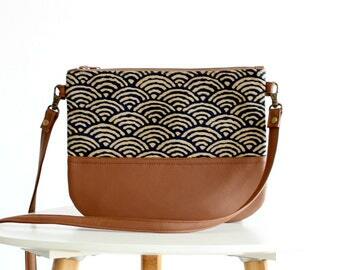 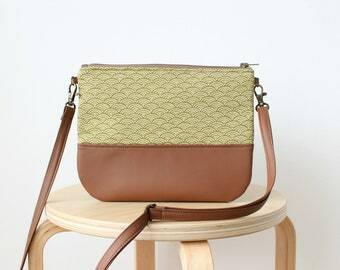 A very cute and practical small crossbody bag that can also be used as a clutch, because the trap is detachable. 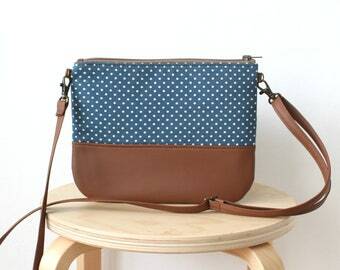 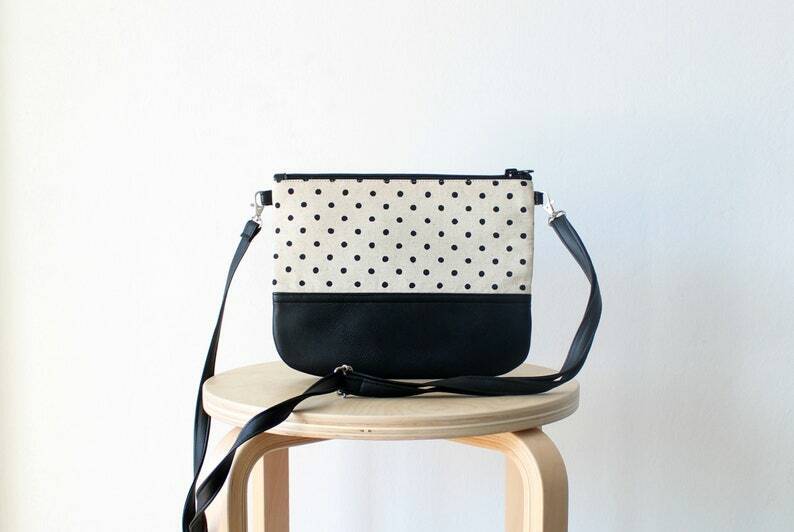 The materials we user are: Vegan/faux leather for the bottom part of the bag and the strap, polka dot linen for the bag's top part and polka dot cotton fabric for the lining. 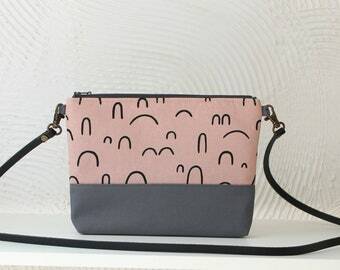 I am very pleased with this purchase. 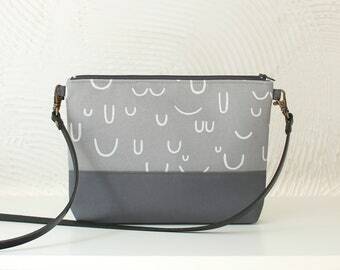 The bag is high quality and just as pictured. 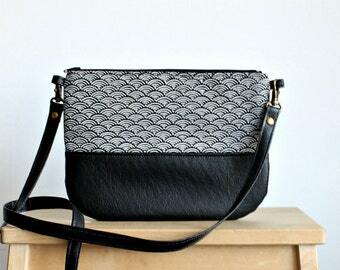 The seller shipped quickly and was very responsive when I had questions.